Information abounds online about how to make herbal tinctures. At the risk of re-inventing the wheel, I wanted to share my basic "quick" method for tincture making. Creating herbal medicine is both an art and a science. Various schools of thought exist regarding tincture making and achieving consistent and efficacious potencies. To learn the secrets of master herbalists and achieve greater botanical medicine wisdom, please study the resources I'll list at the bottom of the post. This is my alcohol tincture method (most herbalists use the term "tincture" to mean an alcohol extraction)...glycerites are another form of herbal extraction and will be another post for another day. Why do we tincture in alcohol? Some botanical constituents are not easily released into water (such as alkaloids, essential oils, resins, etc. ); alcohol is the best solvent for extraction. Alcohol is also a natural preservative, extending shelf life of your tincture. And, alcohol as a vehicle gets the medicine into the bloodstream and directly to the liver fairly quickly. The amount of alcohol you ingest when dosing with tinctures is fairly low, and lower still if you dilute your tincture in water when taking it. When tincturing your herbs, you want to maximize release of the botanical constituents. If you are using bark, roots and hard bits, you will end up with more potent medicine more quickly if you grind or blend those bits first. This allows the plant matter to more efficiently release medicinal and nutritional constituents into the menstrum. If using leaves and flowers, this step is not necessary, but would not be harmful in the least. Directions are slightly different when using fresh plant material versus dried because of the amount of water naturally occurring in fresh plant matter. Fresh herbs require a higher alcohol content because the water released by the herb while tincturing will dilute the menstrum. Some herbs are more effective if tinctured with fresh material (like Shepherd's Purse, a hemostatic herb), while some react better after drying (like Hops, a sedative herb). To learn more, see the resources below. Learning to identify and wildcraft herbs is a wonderful activity, as is growing your own herbs; if you do not have access to good herbs, ordering them from a reputable supplier like Mountain Rose Herbs is your best option. If using fresh plants, tear/chop your fresh leaves/flowers into little bits and stuff a quart mason jar 3/4 full. If using fresh roots/bark, first grind them and fill jar only halfway (these plant parts will expand in the menstrum). For dried leaves/flowers, fill jar only halfway (crumble leaves/flowers into small bits). Dried roots/bark should be ground first; fill jar up to 1/3 full (expect some swelling). For fresh plant matter, use minimum 100 proof alcohol; for dried plant matter, use minimum 80 proof alcohol. Pour alcohol into jar, almost to top...leave an inch of breathing room, but make sure all plant matter is covered. Place lid firmly on jar. Label jar with herb name and date; place in dark, cool place for 6 weeks minimum (the longer the herbs tincture, the more potent the medicine will be). Check jar to make sure herb matter hasn't swollen too much, requiring more menstrum. The herb matter should be moving freely within the menstrum in your jar when you shake it. Give your jar a good shake every day. When ready, strain the liquid out of the herbs (using a potato ricer , or pouring the tincture through cheesecloth into a bowl/large pyrex measuring cup...squeeze as much liquid out as possible). Bottle your tincture; store it in a cool, dark place...it should last for years, though potency fades over time. Is an abnormal female cycle the new norm? My instincts and observations will be considered an anecdotal source, LOL, but I'm voting yes...sadly, the female reproductive system seems to be working less efficiently and normally as the decades pass. Truly, empirical data is slim. And infertility rate reports are misleading because they include technological interventions, such as in vitro fertilization, rather than just measuring the number of women who cannot get pregnant after a year of trying without unnatural means. Clearly, young women are having more trouble getting and staying pregnant than their mothers and grandmothers. The impaired fecundity (problems getting and staying pregnant) rate is higher now than 20 years ago, and primary infertility affects about 20 percent more (married) women now than it did in 1965. It's easy to play with the numbers and manipulate statistics...how much real scientific data do we have that can show us legitimate fertility trends? I think we need to start talking more to each other and women in our communities and searching out fertility stories and trends from the past. Rates of infertility and irregular cycles are frighteningly high among the young twenty-somethings I know. Dysmenorrhea anyone? Menorrhagia? Oligomenorrhea? These are just latin terms for "your cycle is really messed up." How is this happening, ladies? Well, who hasn't read about the damaging hormones in industrial animal foods and endocrine disrupters in plastics and chemicals (like dioxin)? Consider that BPA exposure can increase miscarriage rates...and that's only one of the toxins getting media exposure...what else is lurking out there? Our hormones are increasingly suffering due to the industrial food supply and environmental toxins. It's not rocket science...though rocket fuel is probably a culprit. Textbook "normal" cycles average 28 days, and the normal window is currently defined by cycles in length of 24 to 34 days. Your cycle begins the day you start your period. Ovulation "normally" occurs at midcycle, around day 14. The hormone dance that regulates your menstruation and ovulation, and affects sexual desire, include estrogen (specifically estradiol), progesterone, testosterone, luteinizing hormone (LH) and follicle stimulating hormone (FSH). The first half of your cycle is the follicular phase, and after the ovary releases the egg, you enter the luteal phase until your next period begins. Of course there is variation in what should be considered "normal." But during the baby-making years of a woman's life, her cycle should be consistent and regular (fairly close to clockwork), not drop-dead painful and blood depleting, nor nonexistent. To have an unpredictable cycle, an irregular cycle, is certainly not desirable, nor healthy...but those cycles seem to be proliferating and redefining normal in our modern age. Rather than drone on with a "know your cycle" lecture, I encourage you to study the subject and try to tap into older source materials and traditional/historical wisdom. Perhaps query your grandmother or older women in your social circle about their menstrual histories. I will not delve into the varying causes of irregular cycles and reproductive organ ailments, but I encourage you to study the topic, such as ovarian cysts and uterine fibroids, the effects of excess prostaglandins, and how food and pollution negatively affect your hormone cascade. In the meantime, let's look at some herbal helps that are intended to balance, tone and correct our cycle irregularities. Numerous herbalists have written on this topic and offer wonderful remedies. I borrow from many great healers and am thankful for wisdom passed down! This tea is to be consumed during days 1 to 10 of your cycle (adjust for your lengths if you can estimate when you are ovulating...stop the tea a couple days before ovulation), and is meant to be consumed in conjunction with progesterone tea, below. Infuse one ounce of the herb mixture in one quart of just boiled water. Steep for 20 minutes. Strain and drink six ounces, three times daily. This tea is to be consumed during days 11 to 27 of your cycle (again, try to adjust dates for your irregularities...). Prepare and consume as above. Make an infusion with 1 tsp. each herb, steep for 20 minutes in 2 cups just boiled water. Add some peppermint leaf for flavor and additional analgesia. Alternately, try to find a tincture with those herbs in combination, or buy singles and mix them yourself. Take 30 drops in water as needed (every half hour during intense pain periods). Essential oils that help ease menstrual pain include lavender, chamomile, clary sage, and marjoram. Herbal oils of St. John's wort and arnica combine with the EOs to make a soothing anti-inflammatory, analgesic rub. If you don't want to source and make your own, buy my product, Labor Oil, which has a following among my midwife mentor's clients as a help for labor pain and headaches. You can purchase separate tinctures of these herbs and combine them, taking 3 droppers full every 15 minutes until bleeding slows (for very heavy bleeding); use 2 droppers full every hour for moderately heavy bleeding. To make a tea infusion, combine equal parts of each herb, use one ounce to one quart of boiled water, steep 20 minutes, and drink as needed (teas are less potent than tinctures, so we use larger quantities of tea than tincture). When your husband invests time, effort, money and resources into elk hunting, but comes home empty handed, it can be a discouraging endeavour. But when he comes home with fistfuls of Usnea, the herbalist in you says, "Elk? What elk?" As fall comes to a close, I've gone on a bit of a binge. The owner of the liquor store raises his eyebrows at the cases of brandy and vodka ("suuuurre...you're making MEDicine...riiighht..."), and the neighbors do a double take when they see the empty bottles standing next to the trash can. But when it's tincture making time, the alcohol must flow! I plan in the next weeks to write a series on botanical medicine making, discussing tinctures and oils, and recipes for natural body and home care. I will share my cogitations about and personal preferences on choosing a menstrum (the liquid in which you steep the herbs for tincture making). For now, I leave you with a simple recipe for making a potent broad spectrum antibiotic. Also known as Old Man's Beard, Usnea (OOS-nay-ah or oos-NAY-ah) is a lichen with properties of both a fungus and an algae. It is effective against gram positive bacterias, such as streps and staphs. The medicinal constituents of Usnea are not easily extractable in water, so an alcohol tincture is the best preparation. To make a tincture, fill a jar with the Usnea (fresh or dried...though "fresh" harvested Usnea is already pretty dry) and then pour a minimum of 80 proof alcohol to the top of the jar. Don't stuff the Usnea into the jar, just pack loosely. And leave a bit of head room at the top of the jar when filling with alcohol. If you don't have access to wildcrafted Usnea, order some from Mountain Rose Herbs. (If you use the shopping links on my blog, I will earn a small commission...and I thank you!) To learn more about Usnea, please check out my post about healing sore throats and coughs. And look at the info on this powerhouse healer at Susun Weed's site, as well as the Eat the Weeds post regarding Usnea identification. My family is still healing on the GAPS protocol; we each have different sensitivities, which makes baking quite a challenge. One child does poorly with coconut, seeds and nuts, another with eggs, another with dairy. As we have continued the protocol without cheating, however, we find issues steadily resolving. That's real healing...slow and steady. Before making the raw cheesecake, you need to make raw cream cheese, which requires that you've previously made raw yogurt. I make raw yogurt with our goat milk using Culture's for Health Villi yogurt culture. We love our yogurt...it is so mild and creamy. Once you have yogurt, strain it to make cream cheese. I strain my yogurt in a reusable, washable nut milk bag suspended over a bowl. In the past, I have used a cheesecloth lined strainer sitting on a bowl, and I have also used the hanging flour sack towel method. I found both of those to be messier than the nut milk bags (particularly the towel method). You can find the fine mesh nut milk bags on Amazon or ebay and other places online. They are easy to use, easy to clean. To make your cream cheese, just pour your yogurt into the bag, secure the top with a rubber band and hang the bag (by the rubber band) on a cabinet pull. (If using a towel, place yogurt in middle and gather ends up, securing with a couple rubber bands and hang.) Place a bowl under the suspended bag. The whey drips into the bowl and the yogurt becomes cream cheese. Your straining time will vary depending upon relative humidity in your home; you want all the whey to drip from the cheese. I find the process takes anywhere from four to eight hours, depending upon how thick or runny my yogurt is. See photos below. Gently heat milk and egg yolks, stir in gelatin until dissolved, remove mixture from heat. In food processor (or blender), combine cream cheese with honey, vanilla, lemon. Add egg yolk mixture, blend until smooth. Transfer to bowl, put in fridge. Beat egg whites until stiff (add pinch of salt, it helps firm up the whites), gently fold into cheese mixture. Pour cheesecake filling into ramekins. Refrigerate for a few hours. Before serving, top with cacao mousse! Super easy, super delicious! I warned you, though, I don't measure here...so I'll give you my best guess measurements based on eyeballing what I do. Play with it, taste as you go...you can't fail with these ingredients! When making a large batch, I use a handheld beater; smaller batches, I whisk. And 1/4 cup raw honey (certainly measure and add honey to taste), plus a dash of sea salt to enhance the chocolate flavor. Optionally, add a small spoonful of maca root powder , an adaptogenic herb/superfood rich in calcium, magnesium and B vitamins, that helps to balance hormones and increase energy. Keep the mousse at room temperature and top your cheesecake ramekins just before serving. Enjoy! This post is part of Kelly's Real Food Wednesday. Check out the other wonderful treats featured at her carnival. Impetigo is a common contagious skin infection producing blisters usually on the face, neck, hands and groin area. These blisters often fill up with or ooze yellow fluid or pus, resulting in honey colored scabs. A bacterial infection, impetigo is caused either by Staphylococcus aureus (in which case, impetigo is also referred to as golden staph) or Streptococcus pyogenes. In addition to antibacterial botanicals, coconut oil is an effective treatment for impetigo. Coconut is naturally antibacterial, antiviral, and antifungal. Among natural healers, coconut oil is know as an effective remedy for yeast infections, and research shows that coconut oil could be an effective weapon against drug-resistant bacteria. A published study in the medical journal Dermatitis revealed virgin coconut oil's effectiveness in combating Staph aureus. Coconut oil's medium chain fatty acids have proven to be destructive to various viruses, bacteria and fungi. Combining coconut oil with the antimicrobial essential oil Frankincense (Boswellia carterii) makes an even more effective impetigo treatment. An ancient medicine extracted from the resin of the Olibanum tree, Frankincense oil has strong anti-infectious properties and numerous medicinal benefits. Its regenerative properties are particularly useful for skin ailments. Raw honey, particularly Manuka honey, is another antimicrobial medicine effective for healing and soothing skin infections, wounds and burns. Researchers are discovering that Manuka honey kills Strep pyogenes and even helps to prevent the bacteria from binding to wound tissue. The product of nectar from the Manuka tree in Australia and New Zealand, Manuka honey's unique antibacterial properties are rated by producers using the UMF scale (Unique Manuka Factor)...the higher the rating, the stronger the antibacterial activity. To treat impetigo and sooth blisters and scabs, just mix high quality organic cold pressed coconut oil (like Nutiva Organic or Tropical Traditions) with a therapeutic quality Frankincense EO and gently rub over affected areas. Use as much as needed, starting with a ratio of 1 Tb. coconut oil to 5 drops Frankincense. Go ahead and add some raw honey (Manuka if you can get it) for good measure. Or alternate the coconut oil with honey. Bathing the skin in raw apple cider vinegar (like Bragg's ), another natural antibacterial and antiseptic, can help combat the infection and reduce inflammation and relieve itching. Dilute one part ACV in three parts water and apply as a rinse to the affected skin, or dab on with a soaked cloth. Follow the ACV rinse with the oil/honey treatments. If swollen glands or other signs of systemic infection accompany the impetigo, speed healing with a lymphatic cleanse using mullein and lobelia tinctures. Give 10 drops of each in a glass of water every three hours. Also, support immunity and combat systemic infection with herbal medicine and nutrients, as outlined in my post on fighting infections. Also look at my remedies for coughs and sore throats if either of these accompany the impetigo episode. Then the next morning he emerged looking so awful that I was not only seriously alarmed, but knew that something had to be done immediately about his condition! What was this thing? Not only were there golden, crusty scabs all around his mouth and nose and spreading up one side of his face, but the worst one on his cheek was like a large blister that had broken open and was sliding down his face. It was literally like his skin was coming apart at that location. It is an awful feeling to not know what is happening or how to deal with it! (We are not medically minded, and going to the doctor was WAY down on the list for me. Like, not even on the list, unless my husband said that we had to.) But I knew even in my alarm that God knew exactly what was wrong with Benjamin, so before I did anything… I prayed. I asked Him to show me what it was, and to give me tools to deal with it. I didn’t have a ton of time to do research. The very first thing that turned up on the Internet was a picture of golden staph infection. None of the pictures was anything like as bad as Ben’s face, but it looked identical, and so my next search was for natural treatments for that condition. (I have since learned through more research that impetigo is caused by either a strep or a staph bacteria infecting the skin, and that the staph bacteria – also called bullous – produces a toxin that reduces cell-to-cell adhesion, causing separation between the top skin layer epidermis and the lower layer dermis). The first natural cure that I found online was manuka honey, which I called Dr. Dad for right away. This wonder honey began healing the open wound on his cheek immediately, causing it to close and scab over in a nice, healthy looking type of scab. But it did not seem to be working as quickly on the areas that were still full of pus and infection. In addition, it didn’t seem to be able to keep it from wanting to spread, and little pimples were forming around the large areas of golden crust. The honey also proved to be difficult to work with in a practical manner, as I couldn’t keep his nose and mouth covered, and he had to sit still with a rag under his face to catch the warm, melting drips. I also began giving him a strong immune-system tincture by Wishgarden Herbs and olive leaf, which is reputed to kill staph bacteria. For his skin, I decided to add bentonite to draw the infection out. This did have a good effect, and I liked how the honey kept the bentonite semi-moist, but it was hard on his skin after several days of application, and it truly was not having the hoped for dramatic improvement effect. After a week of effort, I began to resign myself to maybe going to the doctor. My good, sweet husband praised my efforts and said that he would take care of everything. Before he made the doctor’s appointment however, he decided to do his own Internet research! After about 3 minutes of being online, he called to me to wash and dry Ben’s face and to put coconut oil on it. The infection by this time was up both sides of his face, as well as spreading down his neck. It was a continuous mass of red, or blister, or golden crust. About 5 minutes after applying the coconut oil to his face, we could see white skin appearing between the red patches. It was like a miracle. I knew in my heart that this was going to take care of it! Because of the extent of the infection, it has taken two weeks of twice daily application, but it never again broke out anew or attempted to spread further, and has only continued to look better and better. His skin now is ever so slightly pinker in all of the areas that had the infection, but otherwise completely healthy. We will be continuing internal immune-system building herbs, and are so incredibly grateful for this coconut oil cure!" I love to recommend therapeutic grade essential oils (EOs), as they are potent botanical medicines. EOs and herbal preparations work wonderfully together, and I classify EOs as herbal (or plant) medicine. I think of EOs as the "blood" of the plant, and the whole herb matter as its "flesh." EOs are concentrated sources of plant medicines, and a little bit often goes a long way. The healing actions of an EO are the same as its herbal counterpart, but produce effects more quickly and powerfully. EOs (as well as herbs) have been used as medicine in Europe and Asia for centuries. The French are often credited for pioneering the modern use of medicinal EOs and paved the way for scientific validation of these beneficial and efficacious plant medicines. I often receive queries about what oils to use and how to use them. I struggle to provide a short list of necessary EOs, as the EO repertoire is abundant, with expansive healing constituents. But for the sake of simplicity, especially during travels, and the sake of financial expediency, I have attempted to compile a list of the ten oils I cannot live without. This list is by no means exhaustive, but covers most ailments people encounter. The world of essential oils and the art of aromatherapy is vast, and worth study. [I find the term aromatherapy to be misleading for people, as the medicinal power of essential oils is imparted through topical use, ingestion, as well as inhalation.] Single oils are powerful healing agents; EO blends create synergistic effects that enhance each oil's capability. Blending is both an art and science, and beyond the scope of this list. See the books in resources below for more information. I must emphasize that not all EOs are created equally; for medicinal purposes, only high quality, pure grade EOs should be used. I am by no means an expert on companies...I personally use and recommend various EO companies. It is very important that your EOs are pure enough for ingestion, which allows you to dose an ill body with strong medicine. Certain popular health food store brands are not potent enough to be considered medicinal grade, nor can I feel assured that they are pure. 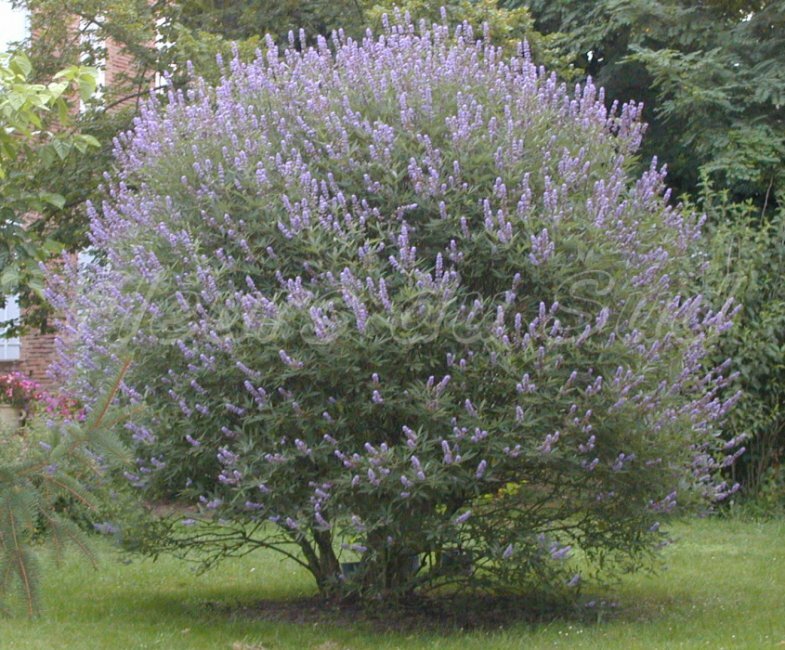 Lavendula officinalisMedicinal properties: analgesic, anticoagulant, anticonvulsive, antidepressant, antifungal, antihistamine, anti-infectious, anti-inflammatory, antiseptic, antispasmodic, antiviral, nervine, regenerative, sedative. French medicinal uses: acne, allergies, burns, cramps, dandruff, diaper rash, flatulence, hair loss, herpes, indigestion, insomnia, blood pressure, lymphatic drainage, menopausal conditions, mouth abscess, nausea, phlebitis, PMS, scarring, stretch marks, tachycardia, thrush, water retention. Additional benefits: all skin inflammations and wounds, palpitations, hypertension, convulsions, muscle spasms, pain syndromes, arthritis, headache, eczema, nervous tension, irritability, insomnia, stress, labor. Medicinal properties: antibacterial, antifungal, antiparasitic, antiseptic, antiviral, immune-stimulant, anti-inflammatory. French medicinal uses: asthma, bronchitis, pulmonary tuberculosis, rheumatism, whopping cough. Additional benefits: Colds/flus, fungal overgrowth, parasites, respiratory system ailments, indigestion, gum infections, inflammation/pain. Mentha PiperitaMedicinal properties: analgesic, anti-inflammatory, anti-infectious, antispasmodic, astringent, decongestant, expectorant, febrifuge, hepatic, nervine, invigorating, digestive, vasoconstrictor. French medicinal Uses: asthma, bronchitis, candida, diarrhea, indigestion, fever, flu, halitosis, heartburn, hemorrhoids, migraine, motion sickness, nausea, respiratory function, itchy skin, throat infection, varicose veins. Additional benefits: arthritis, colic, depression, fatigue, hives, morning sickness, nerve regeneration, toothaches, muscle spasms, aches, neuralgia, ringworm, shock, mental fatigue. Citrus LemonMedicinal Properties: antiseptic, antiviral, antibacterial, antifungal, astringent, diaphoretic, invigorating, tonic. French medicinal uses: air disinfectant, anemia, asthma, cold, fever, germicide, gout, heartburn, intestinal parasites, throat infection, varicose veins, water purification, blood cell formation. Additional benefits: acne, oily skin, warts, inflamed joints, arthritis, hypertension, mouth ulcers, poor circulation, detoxification, lethargy, aids concentration, brain stimulant. Medicinal Properties: analgesic, antibacterial, antifungal, anti-infectious, anti-inflammatory, antioxidant, antiparasitic, antiseptic, antiviral, decongestant, digestive, expectorant, immune-stimulant, insecticidal, stimulant, regenerative. French medicinal uses: athlete's foot, bronchitis, colds, coughs, diarrhea, flu, gum disease, rash, skin ailments, sore throat, sunburn, tonsillitis, vaginitis. Additional benefits: cuts, abrasions, insect bites, wounds, all fungal infections, burns, cold sores, air purifier, chicken pox, warts, asthma, acne, sinusitis, ringworm, dandruff, upper respiratory infections, varicosities, parasites. Medicinal Properties: analgesic, anti-inflammatory, antirheumatic, antiseptic, antispasmodic, disinfectant, stimulant. French medicinal uses: rheumatism, muscular pain, cramps, arthritis, tendonitis, inflammation, hypertension. Additional benefits: broken bones, joint pain, bone pain, fever, eczema, edema, UTIs. Medicinal properties: analgesic, antibacterial, antifungal, anti-infectious, anti-inflammatory, antiparastic, antiseptic, antitumoral, antiviral, disinfectant, immune-stimulant. French medicinal uses: toothache, intestinal parasites, pain, plagues, wounds. Additional benefits: arthritis, bronchitis, cystitis, dental infection, diarrhea, acne, fatigue, flatulence, flu, halitosis, headaches, hypertension, infections, bites/stings, nausea, sinusitis, skin ailments, mouth sores, thyroid dysfunction, ulcers, warts. Medicinal properties: antiseptic, astringent, anti-infectious, diuretic, expectorant, sedative, uterine tonic, anti-inflammatory, antidepressant, immune stimulant. French medicinal uses: asthma, depression, ulcers. Additional benefits: dermatitis, wrinkles, wounds, ulcers, sinus congestion, bronchitis, laryngitis, cystitis, acne, scars, diarrhea, viral infections, sciatica, increases leukocyte activity (strengthening immunity). Medicinal properties: analgesic, antiseptic, antispasmodic, anticatarrhal, decongestant, diuretic, expectorant, febrifuge, stimulant, antiviral, antifungal, antibacerial, anti-infectious, increases circulation. French medicinal uses: asthma, candida, coughs, diabetes, fever, hypoglycemia, lungs, measles, migraines, respiratory stimulant, sinusitis, tuberculosis, urinary stimulant. Additional benefits: chest/throat infections, cold/flu, viral infections (herpes), cystitis, arthritis, abscesses, wounds/cuts/burns/blisters, muscle stiffness/sprains, insect repellent, air purifier, swollen glands, immune stimulant. Medicinal Properties: analgesic, antirheumatic, antiseptic, astringent, antispasmodic, carminative, diaphoretic, digestive, decongestant, diuretic, emmenagogue, endocrine tonic, expectorant, hypertensive, nervine, parasitic, restorative, stimulant. French medicinal uses: arthritis, low blood pressure, bronchitis, cholera, colds, dandruff, depression, diabetes, mental fatigue, flu, fluid retention, hair loss, headache, viral hepatitis, irregular menstruation, sinusitis, tachycardia, vaginitis. Additional benefits: circulation, support immune function, muscle aches, acne, respiratory distress, asthma, bronchitis, ovarian/testicular function, varicosities, tonsillitis, sinusitis, swellings, skin toner, nervous tension, PMS, lethargy. Inhalant = use EO diffuser or nebulizer, place in gently simmering water, put on tissue and inhale. Ingestion = only with pure, therapeutic grade EOs (know your oils). Place one to a few drops in water and drink. This is particularly helpful for sore throats, colds, and digestive upsets. Soaks = place a few drops of EO into a warm bath. Be cautious with EOs known to burn, such as strong citrus oils or mints. This winter seemed to be a particularly long illness season. Since these bugs like to hang around into spring, I thought it wasn't too late to share some remedies. In December, I posted a long list of remedies for sore throats and coughs. I wanted to follow up with a couple of my favorite tips for ear infections and general remedies for colds and congestion. I'm thankful that my family did not suffer bounceback infections this winter. I think we got one mild upper respiratory bug that lasted a few days. Aside from a nourishing Real Foods diet with regular consumption of homemade gelatinous broths, a basic remedy repertoire can improve or ensure wellness. When we enter cold/flu season, I begin pulling out certain herbs and nutritional supplements to give to my family prophylactically. When we are exposed to friends who are sick, or when we feel we might be coming down with something, I increase dosage and add a few essentials to the mix. My first secret to wellness? We swab our ears daily with 3% food grade hydrogen peroxide. We also use it as a gargle if we feel the slightest scratchiness in our throats. If we know we've been exposed to a bug, we do our ears and our noses and throats. My husband travels frequently (by air) for business, and he takes H2O2 with him to use prophylactically and he always doses when he gets home. Colloidal silver is another natural medicine I constantly stock and use frequently during illness season. For general illness, we drink a teaspoon three to five times daily in water. Homeopathics for respiratory infections include Boiron Coldcalm, Boiron Oscillococcinum (take at first sign of flu), Dulcamara, Aconite. For sinus and/or chest congestion, do an essential oil steam with eucalyptus, rosemary and peppermint. Boil water and pour it into a large bowl. Add one to two drops of each oil to the steaming water, lean over the bowl, tent a bath towel over your head, and breathe slowly (through mouth or nose depending upon condition) for a few minutes. Keep your eyes closed, as the EOs can sting. Do not fear fevers. The body utilizes heat to destroy invaders; to allow your body's defenses to work, fevers should be left alone. If you want to help a fever to burn more efficiently, use a combination of yarrow, elder and peppermint. (Tincture dose is 30 drops every hour for high fevers.) This can bring comfort and regulate fever without eliminating the fever. Do not be concerned with any fever under 104º unless it is a very little baby. Temperature readings vary depending upon method used (oral, axillary, tympanic). First, get an otoscope and learn how to examine your child's ears. Learn what a healthy inner ear looks like and what an inflamed ear drum looks like. This will save you trips to a doctor. Gauge the severity of the ear infection by monitoring your child's temperature and discomfort. If the child is screaming in pain, has a high fever, and liquid draining from the ear, you may have a perforated ear drum. In my opinion, this does not necessarily require medical intervention, as it can resolve naturally, but you need to be the judge of what you believe is best for your child. It is helpful to treat both ears, even if only one is affected, as the canals are connected. If the eardrum is not perforated, use garlic/mullein ear drops, an antibiotic treatment that relieves pain and inflammation. (Make your own (see below) or purchase Herb Pharm drops.) You can also use colloidal silver as drops or swab canal. Clogged sinuses can lead to clogged ears...remember, the tunnels are all connected. :) To relieve earache pain and ear congestion, do a massage with lavender EO, rosemary EO, eucalyptus EO combined with mullein oil (or coconut or olive if you don't have any mullein). Massage around the front of the ear, up over the ear, behind the ear, down along the jaw and down the throat. Use firm (but not agonizing) pressure, go slowly, use little circular motions with your finger pads as you follow the path: up, around, down. Do this five times a session, throughout the day. Chop half an onion and a head of garlic. In a saucepan, just cover onion and garlic with raw honey. Gently simmer (don't boil, keep the heat quite low) for at least 30 minutes, an hour is better. Bottle and keep in the refrigerator. Serve by the spoonful throughout the day. You can strain the honey or just serve whole. In a small saucepan, gently simmer a chopped head of garlic and a handful of crushed mullein leaves/flowers in enough olive oil to cover the herb matter. Keep the heat low and simmer for 20-30 minutes and allow the herb matter to steep in the oil until it comes to room temperature, or allow it to steep overnight. Strain the oil and bottle, refrigerate when not using for long periods of time, but warm to apply. Administer a few drops into each ear as often as needed, at least every 30 minutes. Cold and flu season is upon us once again. It's amazing how quickly a year passes! My kiddos had their first respiratory complaints of the season at Thanksgiving, so I thought it would be timely to share some Real Medicine approaches for coughs and sore throats. Coughs and sore throats tend to accompany colds and flus; they also develop as standalone illnesses. Thankfully, the complex constituents of botanical medicines make each plant well suited as a remedy for multiple maladies. Dealing with any cold or flu requires a similar botanical approach. We desire to support the immune system and use herbs that have natural broad-spectrum antibiotic properties, to either ward off or shorten the duration of the virus. Feeding your immune system regularly in sickness season will help reduce your illnesses. Of course, eating Real Food every day, throughout the year, develops a healthy body that can better fight whatever viruses you may encounter. A fantastic sickness-season, body-building superfood is homemade broth, rich in gelatin and minerals. Soup really can heal what ails you! Whether viral or bacterial, ailments of the respiratory system (encompassing the area from nose to lungs) respond well to botanical treatment, especially when treatment begins in the early stages of illness. Colds and flus are often accompanied by various ear, nose, throat, bronchial and lung complaints. Upper respiratory infections are those affecting the sinuses and throat, while lower respiratory infections affect the trachea, bronchial passageways and lungs. Coughs and sore throats, the hallmark of respiratory infections, are soothed and healed using numerous demulcent, expectorant, antispasmodic and sedative herbs. There are times that suppressing a cough may be beneficial, such as during a croup spasmodic episode, or when suffering a dry cough caused by throat irritation. But in general, we do not want to suppress the cough and interfere with its work. As irritating as the cough may be (or sound), it is doing the job of clearing the lungs and airways of foreign substances...in the case of a viral or bacterial infection, the cough is helping to expel invaders being fought by your immune system. Expectorating mucus is the main function of a wet cough during a respiratory infection. As infectious agents are encountered, they are wrapped in mucus and phlegm (mucus of the respiratory tract) to be sent packing out of your body through your nose and mouth. In the following section I will list my preferred herbal medicines for the ailments discussed. I buy from and recommend Mountain Rose Herbs for herb purchases. Remember, herbs all have multiple medicinal constituents and actions and are useful in healing various systems and organs in the body. I am going to list only the herbal actions and bodily systems most pertinent to our topic illnesses. For a childhood flu or illness accompanied by fever, an herbal preparation of elder flowers, yarrow and peppermint is especially helpful. Our desire is not to suppress the fever, but to support it and help it to work effectively. Fever is part of the body's defense in fighting pathogens. Allowing a reasonable fever to burn (for me, this is a fever up to 104º for children, 101º for babies) will decrease illness duration...it is a healing mechanism. The herbal fever combination will help your child to be more comfortable, will increase the immune system's viral- and bacterial-fighting powers, and will help the fever burn more efficiently. An excellent homeopathic fever treatment is belladonna. Again, this is used for beneficial fever regulation, not elimination. Whooping cough = a childhood disease with two stages. First stage includes cold with runny nose, sneezing, fever; patient may have painful cough and difficulty breathing. Second stage comes when fever subsides and cough increases; cough is spasmodic/convulsive with whooping sound; coughing fits bring up mucus and increase breathing difficulties. Bronchitis = inflammation of bronchial tube membranes. Symptoms are hoarseness, tickling in windpipe, difficulty breathing, frequent cough, scanty building to copious mucus, tightness in chest, wheezing. Pneumonia = inflammation of lungs, usually beginning with chills followed by high fever. Patient's pulse is quick and full, patient has trouble breathing, has sticking pain in chest; cough quite painful, begins dry and later becomes loose with expectoration of much mucus (may be blood-streaked). Other symptoms include rapid, shallow breathing, headache, thirst. Signs of recovery are first indicated by skin resuming natural moisture and temperature. Danger is usually passed when patient is coughing up large amounts of mucus. mullein (also anti-tussive, antispasmodic) = excellent treatment for respiratory ailments and swollen membrane conditions; clears lungs, relieves spasms, soothes inflammation, relieves pain, calms nerves; moves out excess mucus, demulcent (and bacteriostatic) properties used historically to treat tuberculosis. licorice (also anti-inflammatory) = soothes lungs and helps expectorate phlegm, heals inflamed mucus membranes of respiratory tract. slippery elm (also mucilant, nutritive) = soothing to irritated mucus membranes, encourages removal of phlegm from respiratory tract; lozenges especially helpful for soothing coughs/sore throats (see link for more info and recipe). angelica = particularly suited to bronchial problems. red clover (also antibiotic, antiviral, anti-inflammatory, antispasmodic, sedative, blood cleanser) = one of the most potent botanical medicines we have; excellent mucus clearer; historically used as sedative for whooping cough; its antibiotic properties useful against multiple bacteria, including tubercular bacilli; moves toxins out of blood; nerve tonic well suited to spasmodic afflictions...warm infusions particularly soothing to bronchial nerves; drink as much red clover tea as desired during illness. wild cherry = calms respiratory nerves, soothes coughs and asthma, loosens and expectorates phlegm/mucus in throat and chest; especially suited to bronchial disorders caused by accumulated mucus. elecampane (also antibacterial) = treatment for bronchial coughs and chest congestion with much mucus. horehound (also anti-inflammatory, anti-tussive) = well-known throat and lung remedy; treats coughs and croup, expels phlegm from respiratory bronchial system, soothes larynx. thyme (also antispasmodic, antiseptic, sedative) = historically shown to be beneficial for whooping cough; removes mucus from lungs and respiratory passages. mustard = particularly good used as chest compresses (called mustard plaster); clears lungs, eases breathing; dispels phlegm, alleviates pain; to make mustard plaster: take portion of mustard seed powder (determined by size of area to be treated) and mix with warm water to form thick paste, wrap in clean thin cloth, place plaster on another cloth already placed on skin, remove plaster as soon as heat becomes uncomfortable (like garlic, mustard poultices are potent and can burn skin...for children, remove after 5 minutes, reapply as needed). marshmallow (also mucilant, tonic, nutritive) = calcium-rich mucilaginous herb used historically to soothe and heal mucus membranes, including lungs, digestive tract and bowel. Soothes irritation/inflammation in respiratory organs. lobelia (also analgesic, antispasmodic, decongestant, expectorant) = considered by many herbalists as most important of herbs; treats asthma, bronchitis: relaxes bronchial muscles, dilates bronchioles; removes congestion in body; powerful relaxant of nervous system; soothes inflammation; expands contracted parts of respiratory system; large amounts can cause vomiting (relaxes stomach sphincters), which can be cathartic and useful for expunging toxins. ginger (also analgesic, anti-inflammatory) = blood vascular stimulant, body cleansing herb used in lung/chest clearing combos and sore throat syrups. I always use homeopathic remedies in concert with herbal medicines when treating any illness. I find that coughs and flus respond quite well to homeopathy. Choose the homeopathic that most closely fits the general symptom picture being exhibited. The proper dosing in homeopathy is not in the number of pellets taken, but in the frequency of the dose given. Even the slightest improvement in symptoms indicates that you have chosen a correct remedy. Often, more than one remedy will work. A general 30C or 30X potency, given 3 pellets per dose, is a good place to start with homeopathic remedies. During severe acute illness, high burning fevers, or spasmodic coughing episodes, give a dose every 15 minutes. For less emergent illness or suffering, administer the remedy every hour to three hours. If you see no improvement in a couple days, switch to another remedy that matches the symptomatology. Avoid food or drink (except water) 15 minutes before and after administering homeopathic remedies. Aconitum = dry, hoarse, croupy cough; tends to be worse at night (especially after midnight); dry mouth, shortness of breath, often accompanied by thirst; patient restless, anxious; cough worse from cold drinks. This remedy is given for the initial stages of croup, bronchitis, pneumonia. Antimonium tart = deep cough turning toward bronchitis; loud rattling cough with difficulty expectorating mucus; difficulty in breathing makes patient sit up; patient anxious, irritable; feels chilly but dislikes stuffiness. This remedy is rarely given at beginning of illness. Bryonia = common cold starts with nasal discharge, then moves into chest; cough dry, made worse by motion or inhaling; patient holds chest while breathing; cough aggravated by warm rooms; may be tickling in larynx; sometimes vomiting or headache accompanies cough. Drosera = bouts of dry, barking cough, spasmodic, tickling cough, ringing sound; larynx inflamed, aggravated by lying down, worse after midnight; pain in chest, hoarse voice; cough irritated by talking, eating, drinking cold fluids; patient may perspire; coughing spasms may cause vomiting, patient may hold chest. Ferrum phos = symptoms not intense or sudden; cough becomes worse from cold air, in early morning, after eating; dry hacking cough, expectoration may include blood; stitching pain on inhalation and during cough; patient has poor appetite, hoarseness. Hepar sulphur = barking, croupy cough, worsened by exposure to cold; cough exacerbated by dryness in larynx, cold food/drinks, deep breathing; much mucus/rattling in chest, patient may not be able to expectorate mucus; patient sweats during coughing episodes, irritable. Ipecac = hacking cough with tendency to retch/nausea; constriction of chest, tickling in throat, excess saliva; cough damp and deep; rattling mucus in chest; cough worse in hot, humid weather; accompanied by sneezing, hoarseness. This remedy common for infants with cough accompanied by vomiting. Kali bic = cough expectorates stringy, yellow mucus; worse after eating, drinking, around 3 a.m.; relief from expectorating mucus, warmth; sensation of hair in back of throat, perhaps hoarse voice; sometimes pain in mid-sternum extending to back. This remedy is not useful at beginning stages of cough. Phosphorus = dry hard cough, sometimes with persistent tickle behind sternum; aggravated by lying down, awakes at night to sit up and cough; tightness and pain in chest, relieved by warmth; patient may crave cold drinks; patient exhausted; nasal discharge may be blood-tinged. This remedy common for serious respiratory conditions like pneumonia. Pulsatilla = cough aggravated in warm room, lying down, nighttime; cool air provides some relief; patient sits up in bed to breathe better; dry cough during day, mucusy at night; patient weepy, clingy, moody, craving sympathy/affection. Rumex = dry, shallow coughs very sensitive to cold air, patient may wrap head in blanket to avoid breathing it; tickling in throats, irritations below larynx; aggravated by touching base of throat; patient usually hoarse, desires warmth; symptoms aggravated during night, worsened by movement. Spongia = primary medicine for dry, barking, raspy, croupy cough; sound distinct like sawing wood or barking dog; jarring, surprise quality to cough; air passages dry, sputum absent, patient hoarse; cough worsened by cold air, warm rooms, talking, cold fluids; cough worse in early part of night; warm food/drink provide some relief; patient sits up/leans forward. This remedy is considered second-stage croup remedy, after Aconitum and before Hepar and Kali. Because first stage whooping cough is difficult to distinguish from a cold, the remedies listed here are specific to the second stage of the illness. For first stage, choose from general cough remedies above. Aconite = dry cough with whistling sound; skin hot, dry; burning sensation in windpipe; pain in throat during cough. This remedy brings relief, but rarely clears symptoms of whooping cough...follow-up remedy will be needed for total clearing. Antimonium Tart = patient seems to be drowning in mucus; rattling in lungs, deep breaths cause coughing spasms; patient sleepy, thirsty, exhausted, may vomit. Arnica = specifically indicated if patient begins to cry after coughing or cough after crying; feels bruised all over, head hot, body cold; left cheek red. Arsenicum = suffocating fits of dry coughing; scant urination, pale complexion/cool skin; patient chilly, seeks warmth. Belladonna = patient cannot bear light, noise, motion; throbbing headache accompanies cough, perhaps nosebleed; burning fever; patient thirsty, exhausted, but thrashing. Bryonia often follows Belladonna in whooping cough. Bryonia = similar picture to Belladonna, but fever stage passed; patient worsened by motion, even motion of coughing; suffocating coughing fits, more in evening; may expectorate brownish mucus. Carbo veg = major remedy for whooping cough; works best if given just as cough takes on whooping sound; terrible sore throat on swallowing; patient worse in evening, in cold/damp weather. Drosera = good general remedy for whooping cough; actual whoop sound to cough; violent fits of coughing, wrack body; may be accompanied by fever, hot perspiration at night; patient better for motion, thirsty, may vomit. Dulcamara - loose, moist cough; thin, clear mucus; good for cough brought on after exposure to cold/damp. Ipecac = patient becomes stiff during coughing fits, becomes blue in face; chest sounds full of mucus, yet none expectorated; coughs bring on gagging. Mercurius = first remedy to consider if patient coughs up blood, may bleed from nose during coughing fit; patient worse at night; may cough all night and not during day, or cough all day and not at night; night sweats; two bouts of coughing and period of calm before two more bouts of coughing. Phosphorus = excellent for whooping cough, especially if first stage appears to be simple cold that moves quickly to throat and chest, bypassing nose; burning pains in throat/chest; patient may hold painful throat during coughs; thirsty for cold drinks, may vomit. Pulsatilla = great deal of mucus being coughed up; patient may vomit, have diarrhea at night; feels chilly, even in warm rooms, but eels he cannot breathe in warm room. Veratrum album = for patient greatly weakened by illness; pulse quick and weak, constant low fever, cold sweat; patient does not want to move or speak, may have red rash. This remedy follows Drosera well in whooping cough. Aconite = acute attacks; chill with fever, dry, hot skin, restless; short, dry cough, constant irritation in larynx; fear/anxiety. Antimonium Tart = large mass of mucus in bronchia; difficulty breathing, feeling as if drowning in mucus, but cannot easily expectorate mucus; may vomit mucus; chest heavy, patient exhausted. Apis = chest sore feels stung/bruised; clear, stringy phlegm in throat. Arsenicum = dry, hacking cough; chest sore; patient sits up to breathe; thirsty but drinks scant amount. Belladonna = face flushed, eyes red; pressure in head, throbbing headache, hot skin, spasmodic cough that cuts off breathing. Bryonia = breathing difficult, shallow; patients must sit up to breathe but doesn't want to move; chest tight; dry cough with pains in chest; violent cough in morning with mucus expectoration. Carbo Veg = obstinate hoarseness, severe burning in chest; violent cough, discharge of yellow phlegm; difficulty breathing. Causticum = throat rough/hoarse, especially in morning; short, hacking cough with involuntary urination. Chamomilla = hoarseness and cough with rattling mucus in trachea; tickling in larynx, worse at night; one cheek red, one pale; patient irritable. Hepar Sulph = dry cough with rough throat; rattling, choking cough worse after midnight; wheeze during breathing, throat feels like stick is caught in it. Ipecac = rattling mucus in bronchial tubes; bouts of suffocating cough; difficulty breathing; chest full of phlegm, but trouble expectorating mucus; may vomit mucus. Kali Bic = burning pains in trachea and bronchia; cough may expectorate green mass of stringy, ropey mucus (keynote of the remedy is stringy mucus). Lachesis = voice feeble, hoarse; constriction of throat, short, hacking cough; tingling in throat; difficult expectoration of yellow mucus; throat painful when touched, pressure on throat brings on coughing fit. Mercurius = sore throat with violent cough, especially at night; patient feels head and chest will burst; feels hot, then cold, then hot; swollen glands, sweat. Nux Vomica = larynx feels rough, scraped, causes coughing from attempt to clear throat; dry cough all night; headache; stuffy nose; fever with chilly feeling; may be accompanied by constipation. Phosphorus = total loss of voice; larynx exceedingly painful; chest tight; cough expectorates reddish mucus, cough severe and exhausting; patient dreads cough, tries to stop it, may hold throat. Pulsatilla = dryness in throat; dry cough at night worse when sitting up in bed; loose cough, expectorates yellow mucus; patient chilly, with hot, dry skin, no thirst; patient prone to tears. Rhus Tox = cough brought on by sensation of tickling under breast bone; cough worse from laughing/talking; accompanied by rheumatic pains in bones, better from gentle motion; worse at night. Spongia = dry larynx, hoarse, hollow, wheezing cough; worse at night; sounds like sawing wood. Sulphur = hoarseness and loss of voice; sensation of something crawling inside throat; loose cough, expectorates thick mucus; sore chest, pain in left side. Single best remedy for chronic cases of bronchitis. Veratrum album = dry, hollow cough, as if from abdomen; rattling mucus in chest cannot be coughed up; cough may be accompanied by vomiting, diarrhea, exhaustion; face covered in cold sweat. Aconite = comes on quickly, especially after exposure to cold and wind; throat red/swollen, patient feels chilled, even with fever; face may be red. Apis = throat red/swollen, feels stung/burning; worsened by warm drinks, better for cold drinks; throat dry, patient thirsty; throat may look shiny; pain with and without swallowing. Arsenicum = usually begins on right side and moves left, or more painful on right side; better by warm drinks; patient chilly, restless. Belladonna = indicated for tonsillitis, and other sore throats; pain comes on quickly; tonsils/throat bright red; pain burns, patient swallows constantly, painfully; look for accompanying fever. Carbo Veg = long-lasting hoarseness worse morning and evening. Causticum = hoarse, rough throat with hoarse voice; worse in morning; pain in chest. Chamomilla = comes on in cold air; stinging/burning pains in throat; sensation of wanting to cough something out of throat; good remedy for children, especially if patient is cross. Ferrum Phos = common remedy for tonsillitis; pain not as quick or severe as with Belladonna; fever, hoarseness common; good remedy for loss of voice from overuse. Gelsemium = voice very weak; loss of voice due to nervousness; raspy pain in throat, difficulty swallowing, throat feels burnt. Hepar Sulph = sensation of stick caught in throat; ache into ears, especially on swallowing; better for hot drinks. Ignatia = better for swallowing solid food, worse for liquids; sensation of lump in throat; emotional cause of lost voice indicated this remedy. Lachesis = pain usually on left side, or begins left and moves right; left side more swollen and red/purple in color; pain worse for swallowing liquids (particularly warm), better for food; throat very sensitive to touch, nothing can cover it. Lycopodium = pain begins right and moves left, more painful on right; better for warm drinks, worse for cold; sensation of plug in throat; pain worse in late afternoon. Mercurius = infection present; often situation where cold has settled into throat; this remedy not for new throat condition, but when throat is sore for period of time; swollen glands under jaw; swollen tongue, copious saliva; pain raw, throat constricted, tonsils swollen. Nux Vomica = scraping pains in throat; hoarseness/loss of voice; patient chilly, has postnasal drip, stuffy nose; sore throat slow coming on, slow to build, slow to leave. Phosphorus = great remedy for losing voice from overuse; exhausted (as if nothing left to say); cold drinks, ice helps; tightness in chest. Rhus Tox = lost voice from overuse; pain worse on initial swallowing, better for continued swallowing; worse for cold, better for warm drinks; patient feels better from damp warmth of hot shower. Sulphur = general tonic for throat; pain better from cold drinks, worse from warm in any form; patient feels hot, sweaty; pain in throat is burning. Essential oils are distilled, concentrated preparations of plants. I like to think of EOs as the "blood" of the plant. EOs are very potent and therapeutic in small doses. Only high quality, pure EOs should be used; these are hard to find in stores. I will list my preferred sources at the end. Pure, therapuetic grade EOs can be ingested (a few drops in a glass of water), diffused in the air, added to steam preparations, added to spray bottles, and applied topically (dilute with carrier oil to avoid burning skin with strong oils). These will also help to clear sinuses. I am not going to provide an herb making tutorial in this post, but will give you a general overview of options for herbal preparations and remedies that are beneficial for coughs, colds, flus and sore throats. Glycerites are herbal tinctures particularly suited to children because of their unoffensive flavor and lack of alcohol. Unlike an alcohol tincture, though, glycerites are not as potent. You can give alcohol tinctures to children; generally the dosage is lower than with glycerine-based tinctures. Acetums (vinegar extracts) are particularly good herbal preparations for the respiratory tract. Because of its nutritive/healing properties, I make all my vinegar extracts with apple cider vinegar. ACV helps to dissolve phlegm. Acetums combine well with honey to soothe coughs and sore throats. An acetum is an easy way to get herbs into your diet, by using the herb-infused vinegar in salad dressings and other places you would normally use ACV. Infusions and decoctions (strong teas) are easy to make, but require that you have herb matter. They also do not last long, but are meant to be consumed within a day of being made. You can store herbal teas in the refrigerator to be drunk in a day or two. Teas are not as strong, but can be drunk throughout the day and night. An excellent general cough/sore throat remedy (especially dry cough): 1 Tb. hot honey in glass of hot water with lemon. Coughs respond very well to onion/garlic/honey syrup. Whooping cough (pertussis), a bacterial infection that causes violent coughing and restricted breathing (sometimes accompanied by vomiting), responds well to vitamin c, thyme, marshmallow, and red clover. osha root herb (antibacterial, anti-inflammatory, antiviral, expectorant, decongestant) = well-suited for respiratory ailments, viral infections of throat and sinuses; often combined with echinacea and goldenseal for use against viral infections; large amounts can be stimulating. usnea herb (antibacterial, antibiotic, antifungal, antiviral, parasitic, tuberculostatic) = a beneficial lichen, usnea is one of the strongest botanical antibiotics we have; effective against strep, staph, trichomonas, tuberculosis and infected wounds. charcoal sludge: Mix 1 Tb. activated charcoal powder with a small amount of water (4 to 6 oz.). Stir and sip slowly, even gargle and then sip. Also coat a wet Qtip with charcoal and swab affected areas in the back of the throat. The charcoal coats the throat and significantly reduces pain. A wonderful remedy for sore throats of any variety is gargling with 3% food-grade hydrogen peroxide. Dilute a small amount of H2O2 in warm water and gargle, repeat as often as needed. The burning, stinging, fizzing sensation means that the H2O2 is destroying pathogens. Do the gargle the moment you feel a sore throat coming on and continue throughout the day. Herbalist Rosemary Gladstar has some wonderful respiratory remedies suitable for both adults and children. Here are two of my favorites. Make very concentrated tea with 2 oz. herb mix to 1 qt. water. Simmer over low heat, reduce liquid to 1 pint. Strain herbs and pour liquid back into pot. Add 1 cup honey (or liquid glycerine). Gently warm honey and liquid together to mix. Remove from heat, bottle and keep refrigerated. Take 1 to 2 tsp. hourly (half for small children). Make as tea, tincture or syrup. Perhaps one of the best-known and most-loved medicinal foods, garlic (Allium Sativum) has been valued throughout history for its potent broad-spectrum antibiotic properties. The "stinking rose," as it were, has innumerable benefits and can be used to successfully treat disorders and illnesses without negative side-effects or toxicity (unless you call garlic breath a negative side-effect, LOL...frankly, that's nothing considering the havoc wreaked on your body by the pharmaceutical alternatives). Garlic's medicinal properties and its uses have been documented in ancient Chinese, Egyptian and Roman literature. Garlic can be used for disease prevention and to fight all kinds of infection. Much of garlic's healing power comes from its allicin content, which is a sulfur-containing compound. The allicin gives garlic its pungent odor. But that smell heralds miracle medicine, so if you don't already, you should learn to love it. It is important to note that when using garlic medicinally, the best form to use is the raw cloves...and they must be crushed or sliced. This is the action that releases (activates) the allicin and garlic's healing potentials. blood thinner = garlic exerts a "normalizing" effect on blood viscosity; its reputation for blood-thinning is accurate, but it must be noted that unlike synthetic chemical agents (drugs), garlic has never been shown to make the blood too thin. It would be wise, however, to not consume large medicinal amounts of garlic if using blood thinning drugs; garlic works so well as a natural blood thinner that it should be used instead of drugs. blood pressure reducer = garlic is used in China and Germany as a blood pressure medicine; garlic's ability to lower blood pressure mostly likely comes from its adenosine content, which is a smooth-muscle relaxant; researchers believe garlic relaxes the smooth muscles of blood vessels, effectively lowering BP. cholesterol reducer = this, too, has been established by about 20 published human studies. Up to three cloves of garlic a day have been shown to lower serum LDL cholesterol levels by 15%. garlic is superbly effective against intestinal parasites; it destroys harmful bacteria and combats viruses; garlic is a potent detoxifying agent. Taking garlic with cayenne and vitamin C at the onset of cold symptoms can keep you from getting sick. garlic is highly effective against fungal (ie yeast/Candida) infections and irritations. Garlic can be used in various ways to treat such infections (see below). garlic is anti-carcinogenic = researchers have found certain garlic compounds that destroy aflatoxin, one of the leading causes of stomach and liver cancer. In animal studies, garlic consistently blocks cancer, including 75% lower colon tumors and 70% blocked breast cancers. Human studies have shown that people who consume three ounces of garlic (and onions) daily are 40% less likely to get stomach cancer. These are merely a few published examples of garlic's prowess in preventing and fighting cancer...information on the topic abounds. garlic's broad-spectrum antibiotic properties are effective against gram-positive, gram-negative, most major infectious bacteria, and antibiotic-resistant (of the drug variety) bacteria; garlic even kills viruses. For active infections, garlic is most effective when consumed raw. garlic is likely the most tested herb in the world...research trials worldwide have proven garlic to activate the immune system and to successfully destroy the bacteria that cause dysentery. Chinese and African doctors have found garlic to be effective against such microbial infections as cryptococcal meningitis, viral encephalitis, toxoplasmosis, and more. Bacteria learn. And they communicate information to one another rapidly and frequently; they also pass along this information to their offspring. Bacteria are highly adaptable and have the uncanny ability, through a kind of "trial and error," to create chemical responses to antibiotic agents...allowing the bacteria to survive or even disable an antibiotic. By doing so, these bacteria are able to grow even stronger; they pass on this ability as they reproduce. Even worse, bacteria learn how to resist multiple antibiotics from encountering only one. So why does garlic succeed where penicillin fails? Garlic contains 33 sulfur compounds, 17 amino acids, and 12 other compounds, all of which provide garlic with 28 known active constituents (and around 35 other "unknowns")...allicin, for example. How many active constituents does penicillin have? One...that's it...just penicillin. The bacteria, as it encounters and learns, must "unlock the code" to each constituent it faces. The answer, my friends, is simple arithmetic. As Buhner writes, "Faced with this complex chemical makeup, invading bacteria find it much more difficult to develop resistance or avoid the medicine's impact." For illness prevention or for treating blood pressure and/or cholesterol imbalances, eat 1-3 fresh cloves daily. Adding fresh garlic to salad dressing is an excellent way to eat it. Spreading fresh, crushed garlic on buttered toast is another. It is important that the garlic releases its juices, where its strong medicine resides...it is a good idea to crush/squeeze the cloves over a small bowl to catch these juices. If you struggle with the oral burning of fresh, raw garlic, and/or you encounter stomach upset (which is a possibility with large amounts), try mixing the crushed garlic in a small amount of raw honey, which is protective of mucous membranes. You can add the garlic + honey to water and drink the mixture. This is helpful when ingesting frequent doses for acute illness. During serious infections (viral/bacterial, etc), consume the juice of 3-9 heads (bulbs) daily...this guideline is a wide swath; start with the lower amount and work up as you feel necessary. Clinicians advise adding the juice to carrot or tomato juice. The juice of a head of garlic is extraordinarily potent in small amounts. Start with 1/4 tsp. garlic juice to mix in a glass of carrot or tomato juice (water works if you have no juice; it just doesn't mask the garlic) and work your way up to more potent doses if needed. This can cause vomiting, but is NOT harmful. Says Buhner, "You won't die if you take too much, but you will want to." So start small. If you do not have a juicer, look at this link for how to make garlic juice. In my experience, eating the crushed cloves (including the juices) of one head of garlic throughout a day is effective at healing UTIs and Mastitis (use as long as is needed, generally two to three days...don't quit until the infection is conquered...watch in future for full posts on those ailments). For internal use, Philip Fritchey, in Practical Herbalism, recommends garlic juice at 1/2 to 1 tsp, 3-4x/daily; whole raw cloves at 1-3 daily ; powder at 4-8 large capsules, 3-4x/daily; tincture 1/2 to 1 tsp, 3-4x/daily; syrup 1-2 tsp, 3-4x/daily; and oil 1/2 to 1 tsp, 3-4x/daily or every hour for acute conditions. James Duke in his Green Pharmacy Herbal Handbook agrees that using garlic whole is better than any processed supplement available and recommends eating 1-5 cloves daily to treat various ailments ; juice and syrup in the same amounts as Fritchey above. To use for fungal infections, internal consumption and external applications are often necessary. Especially useful for the ladies is garlic as a vaginal suppository to deal with yeast flare-ups. Nick a peeled clove and insert before bed...it can help to coat with coconut oil first; remove in the morning. Do as often as symptomatic. To make an herb oil, place 3-4 cups chopped fresh herb...in this case, garlic bulbs, in a saucepan (NOT aluminum or teflon-coated) and cover with extra virgin olive oil, just enough to barely cover the herb matter in the pan. Simmer slowly and stir frequently (just keep checking to make sure it isn't boiling or burning) until the herb material is crisp, anywhere from 4 hours to a full day depending on moisture content of herb. Strain and bottle. Keeps best if refrigerated. To make garlic honey syrup, follow method above, but replace oil with honey and simmer for an hour or two. Find other recipes here: garlic syrup recipes, miracle of garlic syrup and garlic syrup. To make a garlic poultice, which is great for treating children, place a few cloves of crushed garlic in a small piece of thin muslin or cotton (an old t-shirt works well)...even a paper towel works; fold into a little square packet, moisten with hot water, gently press excess water out, and apply. It helps to tape on the poultice packet with surgical skin tape (this can be acquired at medical supply stores or drugstores); even better, wrap the poultice on with an ace bandage. The best application place for a poultice when fighting general infection/illness is the bottom of the feet. The pores there are larger than other parts of the body; the medicine is more quickly absorbed through the skin and passes into the bloodstream. When dealing with a localized infection, such as on arm or leg, wrap the poultice directly onto the wound. These poultices may also be used on the chest and back for respiratory illnesses; garlic is a useful expectorant and can help expel phlegm from the lungs while it works to combat the infection. Rub a bit of olive or coconut oil on the skin first to prevent possibility of burning; check the skin every few minutes to be sure the garlic juice is not causing any irritation. Keep the poultice on for 10 minutes if possible (if the skin begins to feel "burned," remove the poultice immediately) and do this procedure throughout the day...every 1-3 hours depending on severity of infection. Garlic is excellent for drawing out infections and toxins, and promotes healing. Slices of garlic can be applied directly to the skin for treating such things as warts, infected wounds, skin cancers, etc. To avoid burning yourself, be certain to apply a thin layer of oil to the skin before the garlic. If left on too long, the garlic will burn you...so be aware and careful. I hope this brief look at garlic has inspired you to try it for whatever ails you. Garlic is our potent ally in multitudinous ailments, disorders and illnesses. And remember, one of the most distinct advantages of using garlic rather than a pharmaceutical antibiotic is that garlic does not destroy the good bacteria and flora that is meant to live in your body and protect your health. Garlic truly is miracle medicine. ...So let's talk about gout! Really? Gout? But that's such an obscure ailment! Well, apparently not...at least, not in my sphere of influence. LOL I have had the opportunity to help with a few cases of gout in the last couple years and it came up again this past week, so I feel it apropos to add it to the slowly growing library of health issues here. Of course, being the convention-questioning herbalistmama that I am, I will begin the discussion with a reminder that there are NO arbitrary and isolated illnesses. These ailments do not come upon us randomly, nor are they disconnected from our holistic physiology. Treating the symptoms of gout is not a remedy for the real problem. And when someone has gout, the real problem is the kidneys (and also the liver). BUT...for the sake of brevity (too late, some may say), this post will specifically address how to deal with gout, which can be debilitatingly painful. Gout is an excessive production and accumulation of uric acid; it is a symptom of kidney malfunction. The acid accumulation tends to settle in the lower extremities, most often affecting the big toes and front portions of the feet. The synthetic drugs prescribed to deal with gouty symptoms do not heal the gout (shameless reminder two: drugs do not heal disease) and they often greatly irritate the stomach (shameless reminder three: drugs always have side effects...those you can feel immediately, and those you cannot, such as organ function disruption...especially the liver). We can, however, treat the gout with natural medicine and bring relief to the condition. Various treatment regimens exist for this condition. I am going to share the regimen that I have recommended with success. Look to the links at the end of the post to explore more about gout and to learn additional healing options and helpful information. The first element in achieving this goal is proper hydration. Yes, there is a full post in the works about this very topic...so I won't give away the farm here, LOL. In this instance, you need to hydrate the kidneys and to flush the excess uric acid out of your system. Suffice it to say that it is essential when treating the gout that you drink 1 ounce of water for every pound of your body weight...consuming a minimum of 1 gallon of pure (filtered) water daily (not distilled, and never tap). Add 1/2 tsp. sea salt for every gallon of water consumed (this helps to maintain proper mineral balance). The third element, and the one that most quickly reduces the pain of gout, is the Foot Soak. The elements in this soak help to break up and eliminate built-up uric acid, and relieve inflammation/pain. Soak at least 10 minutes and do this as often as needed throughout the day. Be sure to rinse your foot after the soak, as the ginger and cayenne can feel irritating to the skin if left caked on without emulsifying/demulcent agents (as in a salve). Using a cayenne-based salve can reduce gout pain and increase circulation. And applying a poultice is an effective way to draw out the uric acid and reduce inflammation. A simple poultice can be made by mixing a small amount of activated charcoal powder and Pascalite (or bentonite) clay with a bit of cayenne pepper (adjust the cayenne to your personal comfort level). Mix with apple cider vinegar to make a paste, apply to affected areas and wrap with plastic wrap or cotton cloth. This is especially helpful for overnight applications. Finally, I must stress that it is vital that you avoid alcohol, caffeine and soda, all of which put undue stress on your kidneys and liver and will hinder your ability to deal with this condition. Colchicum = one of the best remedies for gout, but not easily found in stores (can be ordered online); indicated for intense big toe/heel pain; joints swollen, red, hot; sensitive to touch; throbbing especially in evening. The daily regimen I have suggested may seem more onerous than popping some pills, but the treatment will work to heal the condition as well as alleviate pain. You must commit to this regimen completely before determining its efficacy. You will not improve if you approach it "willy nilly" and try one or two things haphazardly or half-heartedly. Stick to the program for at least one full week. As you begin to see results, you will appreciate the effort you have made. Getting bodily systems to respond and repair takes time. Your gout flare-ups should decrease as you pursue this treatment. But I cannot stress enough the fact that real healing will come only from addressing the cause of the gout...the kidneys. That is a longer subject for another day. Do not forget that your kidneys (and liver) are the real issue and cannot be ignored. Study kidney health and maintenance...make a commitment to cleanse, tone and nurture your kidneys for your future good health. A final word...this is how I would deal with gout if I had it. As with any healing protocol, you need to be familiar with your body, its needs and its responses. The above advice assumes you are neither pregnant nor using pharmaceuticals. Celery seed and some of the other nutrients/herbs have diuretic actions, so it would be unwise to use them with pharmaceutical diuretics; you should be sure to maintain good hydration levels. While the whole food herb approach is abundantly safer and more effective than pharmaceuticals, it would behoove you to understand the potential of strong diuretic action on diseased kidneys; you should do your own research if you plan to vary or increase the elements suggested above. Until next time, be well and Become Your Own Expert! Radically Natural Recipe: Put It in a Smoothie!!! I love smoothies! I love playing with flavor combinations; I love refreshing frozen fruit; I love a smooth, creamy texture; I love the color; I love the healthy ingredients that impart amazing flavor without any unnecessary added sugars/franken-foods. And I LOVE that you can hide otherwise less palatable things in smoothies and get your kids to drink them. We drink an abundance of smoothies and I never neglect to use them as a vehicle for an extra "health shot." I add powdered herbs, vitamins, liquid algae, cod liver oil, kefir, wheatgrass, etc. ... whatever needs to be in my children's bodies that otherwise might take excessive work and/or fussing. The key to successful smoothie supplement "hiding" is FLAVOR! And the key to good smoothie flavor is excellent, organic, ripe fruit. I have seen smoothie recipes that call for the addition of sugar...maple syrup, honey or the like (or worse!). While I have been known to add a tablespoon of raw honey to a smoothie (either to cover the flavor of an "overripe" kefir addition or to make up for less-than-ripe fruit), I generally do not like to add generous amounts of sugars to my fruit smoothies. Honestly, I cringe at the thought of children drinking a "cup full" of sugar...and when I look at the amount of maple syrup some people suggest as a smoothie addition, it doesn't scream, "pure, healthy, blended fruit;" rather, I see children bouncing off the ceiling! LOL If your smoothie is so unpalatable that you feel you need to add a 1/2 cup of maple syrup to it, you're doing something wrong. Save that wonderful maple syrup for topping whole-grain kefir pancakes or baking an apple crisp! If you really need to sweeten your smoothie a bit, your healthiest option is a small amount of raw honey. Certain fruits provide sweeter flavor; a no-fail sweet smoothie boost is a really ripe banana. Ripe pineapple also gives an otherwise potentially "under flavored" smoothie a nice kick. And adding good, strong cinnamon (preferably ceylon) enriches not only the flavor, but also the healthiness of your fruit smoothie (cinnamon balances blood sugar levels; quite good for people who suffer from hypoglycemia). My favorite frozen fruit for smoothies is strawberry...when picked ripe and frozen right away, these delicious berries never fail to execute smoothie delight! Berries typically are the frozen fruit that give smoothies their chill and color. When you play with different combinations, you will find your own favorites as well as become more familiar with flavor blending for your desired outcome. I find raspberries and blackberries to be more tart than strawberries, and blueberries tend to fall in the middle of that spectrum. Exotic fruits such as papaya and mango are a boon to fruit-sweet smoothies, but again, ripeness is key. Here is my basic smoothie recipe, which generally feeds my family of five (all organic ingredients). Sometimes I will add an organic protein powder, but we don't use it as a regular practice. I currently enjoy the Sun Warrior raw, organic, fermented brown rice protein powder. Whey is an excellent source of protein and is easiest to obtain from your own homemade kefir and yogurt (from raw, grass-fed milk). My family smoothies are not designed as a meal replacer, so I am not concerned about making sure they are extremely protein rich. If you need more protein in your smoothie, you may want to add more kefir or natural whey, or consider purchasing a good-quality whey or rice protein powder (a discussion of which is not my intent for this post, but suffice it to say that "good quality" would mean not highly processed, no corn syrup or other unhealthy sugars, etc.). Another great thing to add to your smoothie is raw organic pastured egg yolks. I always use powdered herbs and superfoods as smoothie additions. I often add bilberry, goji berry and various nutrient-rich, mildly flavored herbs (such as nettle, ginkgo, and oatstraw). These whole foods are high in essential vitamins and minerals and contain healing compounds that nourish your body in a way that supplements cannot. Check out my Links section for websites that sell herbs and powdered superfoods; you can design your own smoothie health blends for your family's needs. (One of my favorite superfood powder suppliers is http://livesuperfoods.com/) For children who cannot yet swallow vitamin/mineral/probiotic capsules or tablets, smoothies are a wonderful supplement vehicle. Just open the capsule into the smoothie and mix (or blend the tablet into the smoothie). Fish oils disguise nicely in flavorful fruit smoothies. You'll be amazed at what your children will NOT notice in a smoothie. One night a few weeks ago, our toddler was suffering from a mild bout of tummy trouble that was causing diarrhea. My routine remedy for this condition is activated charcoal and pascalite clay. I mix the two powders in water, making a black sludge, and serve it up. This is not a favorite drink of my children, LOL, but it is usually drunk without much agitation. However, the hour of night and the discomfort of my little girl prompted my husband to recommend that I blend up a quick smoothie for the addition of the charcoal remedy. I was hesitant to make such noise so late at night, but hubby was convinced that the whole ordeal would be better served by a smoothie. He was right. My little girl LOVES smoothies and daily begs for them...so when she saw the ingredients going in, and she finally had hold of her cup of happiness, she had no suspicion of the added "sludge." She devoured the smoothie and the complaints only began when she realized there was no more! So the next time you are wondering how to get your child to take some necessary healthy (but perhaps "distasteful") supplement/remedy, put it in a smoothie! And while you are at it, don't forget to drink a daily family health smoothie...it is a delicious way to enjoy your nutrients! Children and falls...an inevitable part of growing up for them; sometimes a hair-graying experience for us! Whether insignificant or serious, falls require immediate attention and the physical aftermath can be greatly helped by prompt and proper treatment. The first thing I assessed, after rushing to my daughter's side, was her level of pain (as determined by her cry) and her mobility. Because I still nurse her, my first instinct was to offer the breast for comfort. I wanted immediately to scoop her into my arms, but, not having seen the complete tumble, I wanted to be sure moving her would not cause any damage. Because she was already attempting to sit up on her own to get to me, I felt there was no danger in setting her in my lap...her neck and upper body seemed normal. I began to nurse her, which soothed her crying, and I executed a gentle manual exam of her head, neck, trunk and limbs. If any bones had been fractured, she would most likely have accelerated her crying or shown pain. She showed no signs of increased pain and I did not discern any breaks, nor were there any large red marks visible on her face, head, abdomen, back or limbs, which would indicate impact wounds/contusions. About one minute had passed during this initial "exam." Of course my little one was still upset, but not as greatly as before, and I was also more calm. I asked my eldest son to run and get the homeopathic arnica; I administered three tablets to my daughter and continued to nurse her until she was finished. (Had her upset been much greater, I would have also given her some Bach's Rescue Remedy.) Her crying abated and she became more placid, though desired to be held and comforted. My next step would be an ice pack, but in this case I was not sure where to apply it. There was not yet any bruising or swelling that I could see. I held her for about five minutes, continuing to gently but firmly "massage" along her limbs (all the way to fingertips and toes), manipulating and rotating to see if it would elicit an acute pain response. As she did not react negatively, and she wanted down from my lap, I put her down and went to get her some water to drink; at that time, I administered a second dose of arnica. I noticed as she walked across the room that she was limping. Uh-oh...that's not a good sign. A limp can indicate a couple different injuries...it can be a malfunction in the low back, the hip, the knee, the foot, the leg bones, a combination of these things or all of the above. I knew at that point I needed to apply the full arsenal. The first thing I wanted to do was get my daughter in to see the chiropractor. Since the intricate manipulation of the spine is not yet one of my skills, I seek knowledgable and experienced pediatric chiropractic care. This is one of the only outside sources I use and highly recommend. To find a pediatric chiropractor in your area, visit http://icpa4kids.org/ and click on the "Find a Chiropractor" link. Our closest best option is a nearly 4-hour roundtrip drive, but it was worthwhile. We took our daughter to the pediatric chiropractor who assessed the physical situation and did a manual exam. We talked through what we both had evaluated and agreed there was likely a slight hip dislocation, as well as sacral spinal impingement. I was also concerned about a tight swollen spot I had felt in my little one's neck. The chiropractor did a full spinal adjustment as well as work on the affected hip socket. As soon as the adjustment was complete, my daughter got up and walked around the room, her limp much less pronounced. While she previously had been doing the "peg leg" walk, she now was bending her knee. This was a good sign that the adjustment had an immediate ameliorating affect. However, she still would not flex her foot while walking, which indicated continued irritation and perhaps a sprain in the foot/ankle. We scheduled a visit for the next day and went home. That evening, I put my daughter in an epsom salt bath to soak for 15 minutes, which she enjoyed. During her bath, while Daddy sat with her, I brewed some herbal tea* that would act as a nervine (relaxant), help repair tissues/ligaments, implement rapid cellular repair, and provide nutritive minerals. I also prepared a poultice to place over the affected hip and low back, which would increase localized healing. I got out homeopthic Ruta tablets, which are a follow-on to Arnica...Ruta is excellent for sprains, injured tendons, bone injuries (especially knees, elbows, wrists). I gave my daughter the herbs to drink before she left the bath; after she was dried, I applied the external herbs and dressed her. I wanted to apply an ice pack to her back and hip, but she would have none of it. LOL Because her injury was not so grave, I did not insist upon applying the ice. I gave her a dose of the homeopathic Ruta and put her to bed with me. The next morning, she was up and cheery as usual. The limp seemed pronounced upon her rising, but loosened within 10 minutes of her being up and around. She walked nearly normally but still would not flex her affected food. I administered more internal herbs and Ruta, and applied external herbs (now a salve) to her hip, low back and foot. We then went to our second chiropractic appointment; after the adjustment, my daughter walked better than she had earlier in the day. Both the chiropractor and I were happy with the rapid improvements. We scheduled another appointment for early next week if necessary after watching my daughter's improvement over the weekend. Later that day, I began to gently manipulate the affected foot...flex the toes, rotate the ankle, flex the foot. Sometimes when a child experiences physical pain in a limb, such as that resulting from a sprain, the child will not bear weight on the limb. This can continue even beyond the injury, becoming a habitual incorrect "muscle memory" that can cause long-lasting errors in gait. To avoid this, we can do physical therapy to send the proper nerve signals from the limb to the brain. It is as if we are telling the brain, "It's OK to move this limb...these parts work well." My daughter did not show any signs of pain when I manipulated her foot or hip, so I conducted these exercises throughout the rest of the day. I continued to administer the homeopathy and herbs, gave another epsom salt bath and applied herbal salve to the necessary areas. The result is a speedy recovery and a happy little girl who is eager to once again run headlong down the stairs...oh, how soon they forget! But we do not, so the gate is firmly latched (and brothers are reminded to close it after they go through). In summary, dealing with falls and the potential resulting injuries is far less stressful when we are prepared and knowledgable. My first recommendation is that you gain a basic understanding of anatomy and physiology, as well as massage/physical manipulation techniques. These skills can be immeasurably helpful in assessing and treating injuries. Secondly, find a good pediatric chiropractor in your area...chiro care for kids is great not only for the normal accidents that accompany childhood (which can cause long-term spinal and postural complications), but also for a healthy and well-functioning immune system. *Many herbs are excellent for sprains, ligament/tendon injuries, fractures, etc. If you cannot make your own herbal tea/tincture, Dr. Christopher's Herbal Formulas of BF&C and Kid-e-Calc are good choices for these occasions. These herbs (in "whole herb" form...look for a forthcoming post on that topic) can be used both internally and externally. If you have a prepared tincture, give up to 15 drops in water a few times daily. To make a tea, use equal parts of each herb, combining to form approx. 2 Tb. for a pint of boiling water. Steep the herbs for at least 15 minutes (the longer you brew, the stronger the infusion). You can administer this tea warm or cold; store it in the refrigerator and use within a couple days. To make a poultice, grind the herbs as fine as you can (if you have powdered herbs, use those); I find it helpful to add ground flax seed to any herbal poultice mixture, as the flax binds the herbs together well. Depending on the size of areas to be covered, you may need more or less herb mixture. For small children, make about 1/4 cup of herbs. Add warm water until the herbal mixture is paste-like. Make more if necessary. Apply directly to skin and wrap with a cotton cloth (flour sack towels or strips of old t-shirts work well). An easier way to apply herbs externally to small children is to soak a cotton cloth (or flannel) in a warm preparation of a strong herbal brew. Wring out the cloth and lay it on the affected area overnight. The easiest way to apply herbs externally is a salve (or ointment). My Super Salve (soon coming to the store section of this website) contains bone/tissue/ligament building, cell regenerating, nutritive herbs that provide therapeutic healing for injuries and many more complaints. Salves are a convenient way to quickly (and more cleanly) apply herbs to acute injuries. Using ice on injured areas is an excellent part of the healing regimen. If possible, it is quite helpful to alternate ice and heat in 20 minute intervals a few times daily. This protocol, however, seems to work better for adults than for perpetually squirmy children. Don't forget to use epsom salt baths for your injured children. Soaking in the magnesium reduces inflammation and pain, and aids muscle and nerve repair. Check out the epsom salt council web site for more information. Depending on your child's injury, you may need additional or varying treatment protocols; use your best judgment. Remember, no one knows your child as well as you do...listen to your instincts and do what you believe is best for your child. See my Library for recommended reading resources. Be well, and become your own expert! Stocking your natural medicine cabinet will provide effective (and often swift) relief to everyday ailments as well as keep you prepared for emergency first aid situations. Today we will look at essential remedies/treatments for acute injuries, wounds, trauma and respiratory distress. In future posts I will delve into other areas of illness and share remedies for particular ailments. The following is my first aid "quick list;" for detailed information on each herb/treatment, look for upcoming posts (and/or read through the links provided below). In this list I have highlighted the most common uses of each herb and some of the primary bodily influences...this is not to be taken as an exhaustive reference. Herbs are potent and multi-faceted medicines with numerous constituents and healing properties. Any dosing information provided is based on my personal experience and opinion consolidated from my studies; I urge you to look at the book and website recommendations in my Library and Links sections for further information. When using essential oils, use only pure, unadulterated oils...the best you can afford; the oils are quite potent...think of them as the "blood" of the plant; they are stronger than dried herbs. With essential oils remember that a little bit goes a long way. Start with a few drops (from a pea size to a teaspoon's worth depending on area to be covered) and work up to more as needed. In external applications, most oils need to be diluted so they do not burn the skin. A general rule of thumb is to dilute 10 to 15 drops of EO in 1 Tb. carrier oil (such as jojoba or olive). For babies, dilute 3 drops EO to 1 Tb. carrier; for small children (up to ~ age 6) use 3 drops EO to 1 tsp. carrier oil. The study of homeopathy deserves thorough and separate attention. I will not address that here, but cannot round out the first aid kit without mentioning my favorite and most-used "A" remedies. Cayenne (capsicum annum) truly is the king of herbs. Hardly an ailment or serious condition exists that does not benefit from the proper use of cayenne. It is a genuine life saver. I have prescribed cayenne for people more often than any other herbal treatment. If you want to learn herbs, you must first become familiar with cayenne. I cannot do justice to this powerhouse herb in a few paragraphs. I also do not want to rewrite the vast amount of excellent cayenne information already available, so I intend here to briefly summarize cayenne's abilities and then provide important links for you to study. (Also look on my Library page for book recommendations.) If you take the time to learn cayenne, you will have mastered one of the most potent medicines available. Cayenne's powerful ability to move blood makes it a natural and healthy stimulant (take a morning cayenne tonic and quit the coffee habit! ), as well as an anti-inflammatory and a thermal regulator (wonderful for warming up those cold extremities!). And contrary to reasonable assumption, given cayenne's hot, hot, hot nature, the herb actually relieves pain. Capsaicin, cayenne's primary constituent, blocks pain receptors (it diminishes the activity of Substance P, our bodies' chemical pain messenger), making cayenne effective in external applications for arthritis and other forms of muscle and joint pain. Cayenne is a catalyst; it causes all other herbs to work better and faster. This makes cayenne an essential addition to all herbal remedies; cayenne improves the effectiveness of their medicinal action by quickly distributing the herbs' active constituents throughout the body. Cayenne aids digestion by increasing HCL (hydrogen chloride) in the stomach. We all, regardless of our state of health, benefit from taking a morning cayenne tonic. To use cayenne, begin by mixing 1/4 tsp. into some warm water and drinking it (it can be taken with a meal if the heat initially upsets your stomach); you can also add the cayenne to juice, such as orange or tomato. You will likely be surprised at the energy boost you experience with your cayenne tonic. Drinking cayenne powder is a superior and more effective method than swallowing capsules...to understand why, read the link below "Why Cayenne Powder..." Because cayenne is so stimulating, it is best not to take it near bedtime. I will undoubtedly think of more fabulous facts about cayenne that I want to share in the next day or two; but I urge you to study the links below and to apply yourself as a student of the "King of Herbs!" Become your own expert! This and future "Herbs" posts will be linked under my Learn tab; check there in future for more installments and information on other healing modalities.